The EXP function returns the natural exponential function of Expression. 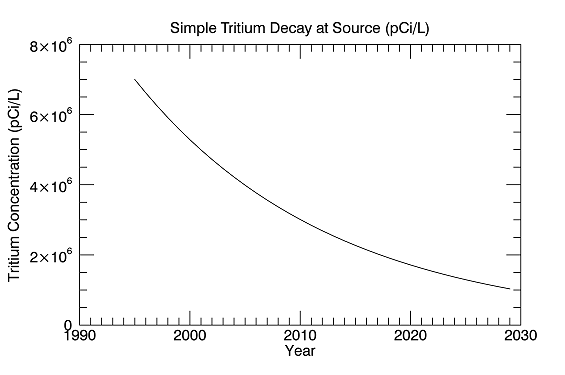 ; Decay constant of tritium. ; Initial concentration in the tank in pCi/L. ; Create the plot using 1995 as the base year. Returns the natural exponential function of the given Expression. R = real part of x, and I = imaginary part of x. If Expression is an array, the result has the same structure, with each element containing the result for the corresponding element of Expression.